Fiona from TotsBots on STV last week. 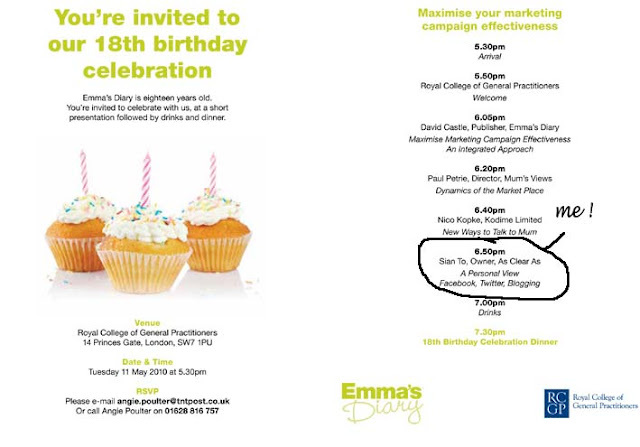 I'm very pleased to have been asked to speak about social media at the forthcoming Emma's diary 18th Birthday presentation at the Royal College of General Practitioners. The chemical content of baby bottles has been a hot topic in the USA for some time two years ago San Francisco became the first state to ban the sale of baby feeding bottles that contain the chemical Bisphenol-A. Since then the debate has escalated as the US media uncovered the story that the baby bottle manufacturers have tried to keep hidden. Because of their body weight, children are far more susceptible to adverse affects from chemical exposures than adults, even at very low doses, with children under the age of three being the most vulnerable. Bisphenol-A, also known as BPA, is used in the making of polycarbonate bottles, plastic food and drink packaging and is known to cause neurological and hormonal damage to animals. Lab tests have shown that when baby bottles are heated, as many parents do to warm formula or breast milk, potentially dangerous levels of BPA leach into the liquid. While industry leaders continue to defend the use of BPA, it has been linked by scientists to cancers, impaired immune function, early onset of puberty, obesity, diabetes, hyperactivity and possibly autism. Environmentalists are calling for clearer labeling by manufacturers whose baby products contain BPA, so that parents can make an informed decision before purchasing equipment that could pose a potential long term danger to their child. Earlier this month the National Childbirth Trust (NCT) stood up to be counted and called for companies to stop using Bisphenol A (BPA) in the manufacturing of their baby bottles. 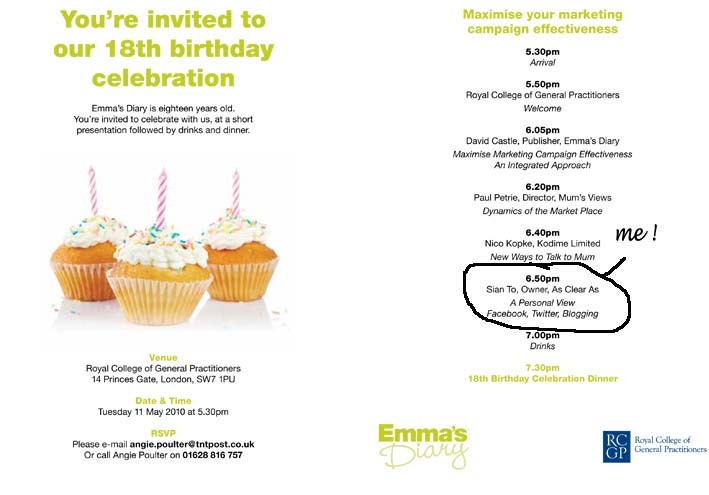 Despite the bans in San Francisco and Canada BPA is still present in many of the baby bottles sold in the UK. This is made worse by unclear labeling and many parents are buying products containing this potentially dangerous chemical without even realising it. Mebby produce a BPA free range of Gentlefeed baby bottles made from chemical free Polyether Sulfone (PES), an innovative medical grade plastic that is honey coloured, hygienic and unbreakable. 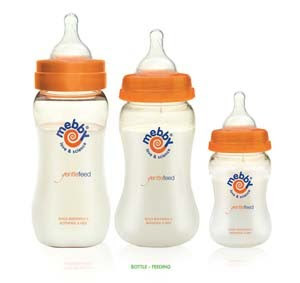 Mebby bottles are available in three sizes 150ml, 250ml and 280ml and feature an anti-colic silicone teat. When Stokke first launched their revolutionary stroller in 2003 – it literally took the children’s transportation category by storm. The unique design concept placed Stokke® Xplory® into a league of its own and parents began to see that there was more to a stroller than a seat on wheels that moved a child from A to B.
Stokke® Xplory® with its unique height adjustability allowed parents to lift their child away from the pavement offering closeness, comfort, security, interaction and a good view on the world wherever they went. 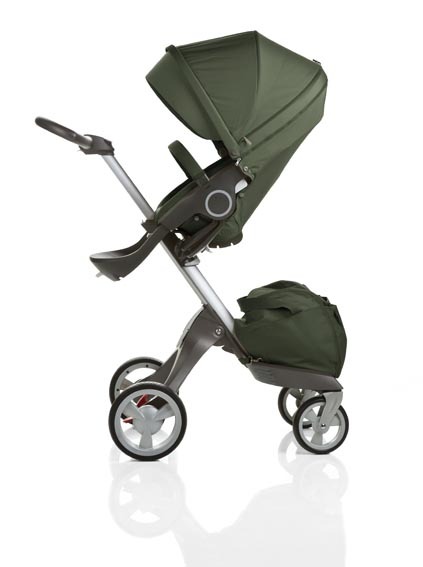 But we didn’t stop there and Spring 2010 sees further innovation as Stokke® Xplory® enters an exciting next chapter. Stokke are committed to putting children first. Our products are designed and constructed to encourage child development whilst strengthening the bond between parents and child. Stokke products are innovative, sustainable and designed to grow and adapt to a child’s ever changing needs. Stokke believe that children and parents should grow together, emotionally as well as physically and spend as much time as possible learning from each other. It’s these early experiences that shape a child’s life - and as a parent those experiences are what you make them. 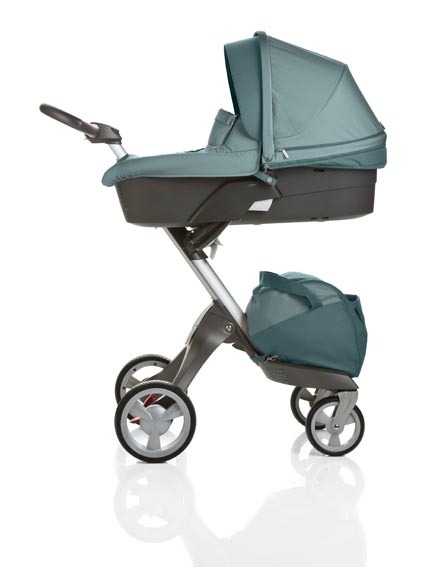 The new Stokke® Xplory® is quite simply the sleekest, most user centered stroller in the world with every inch designed to enhance the experience of moving seamlessly through the world with your child. Fresh new fabrics encapsulate the seat for a more cocoon like feel, an innovative quick fold visor offers additional shade that can be retracted in an instant, and an enlarged removable basket – for (even more) shopping sits quietly waiting to be filled …A padded baby insert gives a snug fit from birth and the easy click footrest offers full support as your child grows, the stroller provide ergonomic support to ensure the best possible support for babies of any age and size. The sleek new hood allows for added ventilation and the well loved sleep, rest, active seat positions remain un-changed. 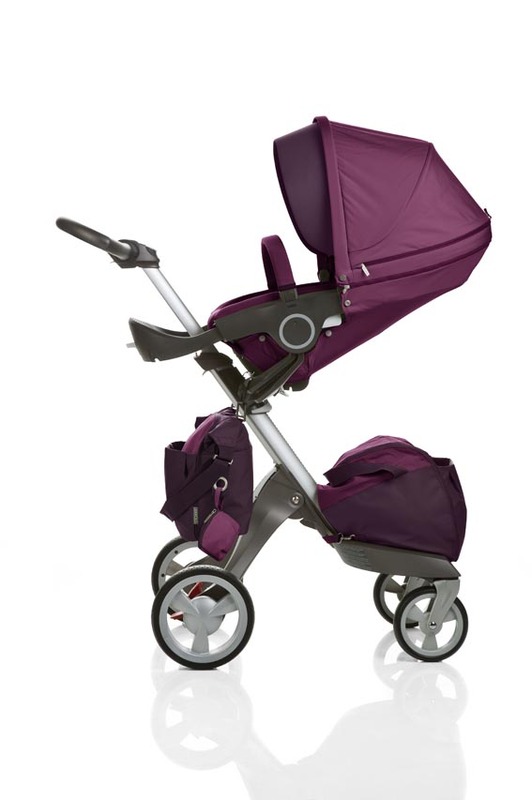 The new Stokke® Xplory® is available in Beige, Blue, Red, Purple, Green and Dark Navy from April 2010. V3 seat units are available as additional extras to allow you to upgrade your existing Stokke® Xplory®. Please do follow us by friend feed or RSS... we have lots of amazing news to share over the coming months. Release dates vary from country to country. please email me for press images and prices.